The clue is in the name, but craft sticks are not often associated with ‘process art’ and subsequently, this months craft stick theme for the monthly process art challenge left me scratching my head. I simply had no idea how to incorporate them into art. Luckily my kids had their own ideas and this served as a timely reminder that ‘process art’ is not about the end result and it’s not up to me to ‘decide what to do with them’. With the tools to hand, the kids created something unique and spectacular. 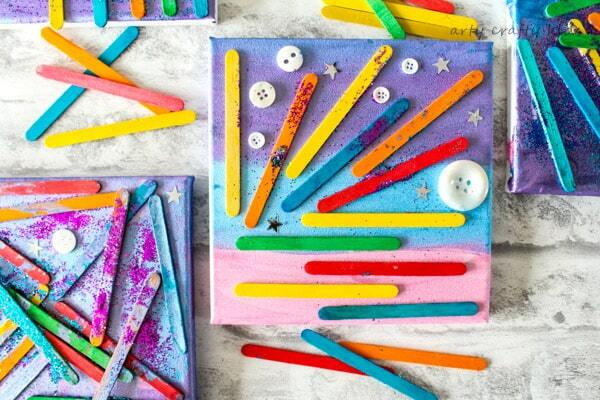 To quote my 3 y/o Miss Cakes, her craft stick canvas art is “the most beautiful picture in the entire world”. 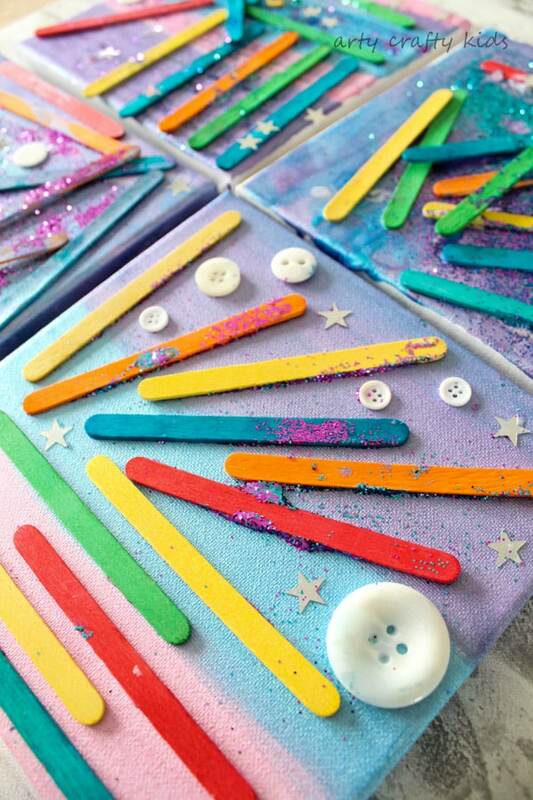 Lucky for you, the magic has been captured into one neat little video – take a look and sign up to our YouTube Channel for more Arty Crafty fun. 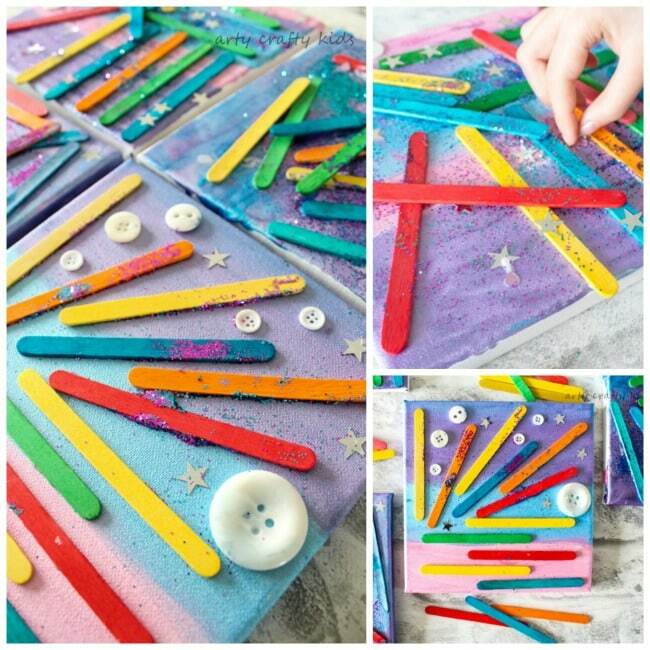 Prepare the materials for your arty crafty kids and take a BIG step back, and watch the magic unfold. 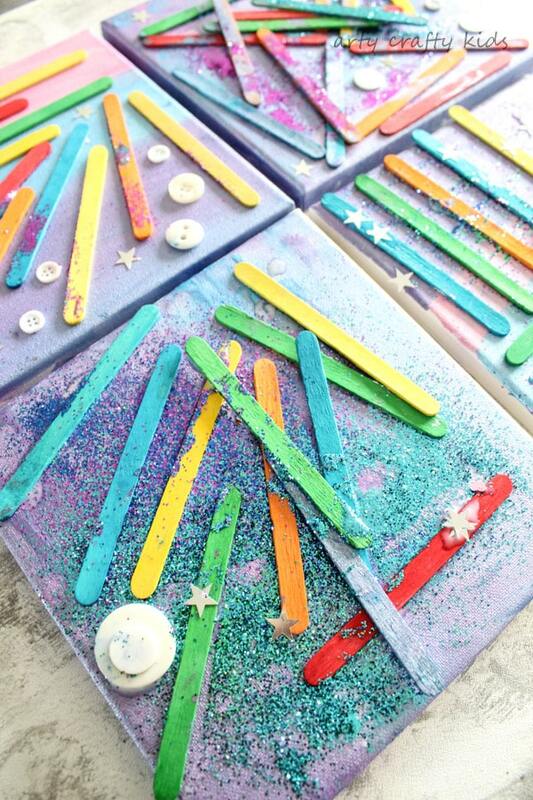 Using lots of PVA glue, cover the one side of the craft stick and attach it onto the canvas. 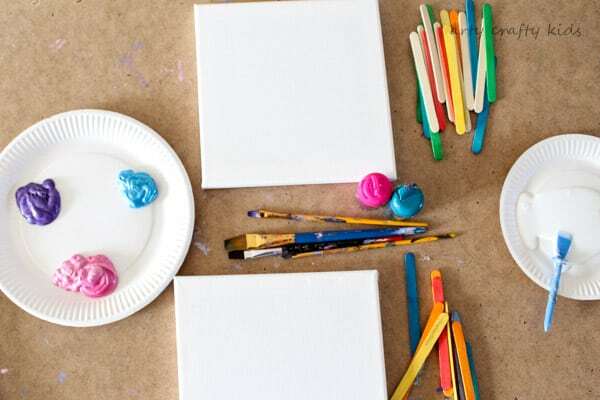 Whether your child glues the craft stick directly onto the canvas or decides to layer the sticks on top of each other, the PVA should be strong enough to secure the craft sticks – the canvas will need plenty of time to dry. 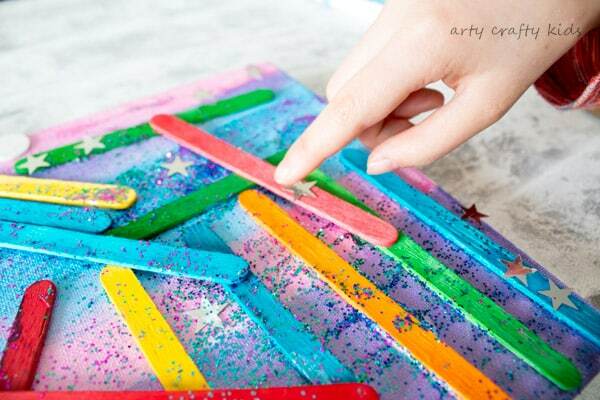 Add tissue paper, glitter or anything else you have to hand within the craft box. This process is a fantastic way for kids to explore texture and shape. Layering the sticks adds an interesting dimension and as your children create; they will be figuring out the best way to balance the sticks, secure them effectively, as well as continuously assessing the available space through play to find the best fit – all of this in the name of art! 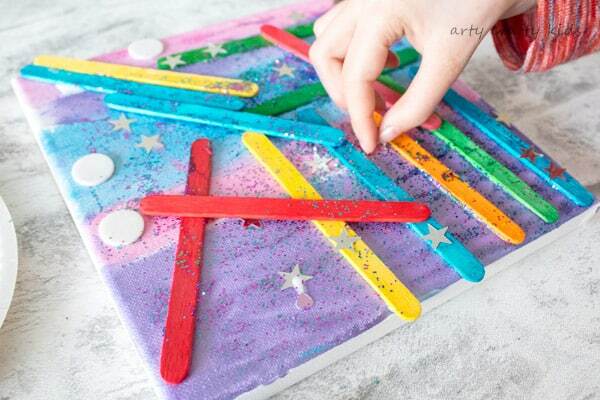 Pin Craft Stick Canvas Art for Later!